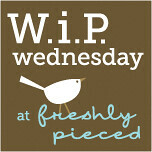 Alright, now on to my W.I.P's this week. I have one finish since last week; my Fast Forward quilt. It had been a completed top for quite some time now so it feels good to cross it off to list. 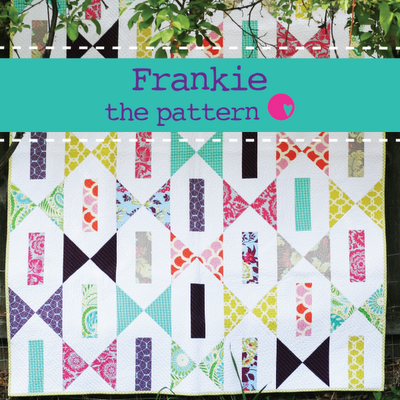 I started a new project today as well, in fact it is the Frankie quilt pattern shown above. I'm using these lovely almost FQ's that I won on Jess' blog a little while back, and will need to supplement with a few solids or see if I can find some coordinating prints as I don't have quite enough fabric. I spent a lot of time cutting today while my youngest guy was home sick, and a little bit of time sewing this evening. I still have two tops waiting to be quilted ~ the Pure strip tube quilt, and the scrappy postage stamp quilt. No progress on either this week. In addition to those, my Sweetwater Reunion cushion covers are still not finished because my backing fabric is taking its time getting here! 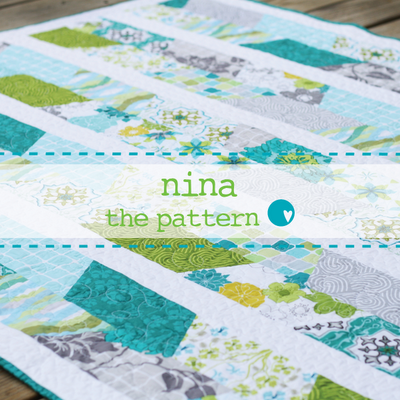 Your Fast Forward quilt looks great! So nice to have a finish! :) Love that you've already gotten stuck into a new project! I really like your Fast Forward quilt! Lu has some really fun designs, doesn't she? Can't wait to see what you make with those patterns. Congratulations on your beautiful finish, too! Levi picked a brilliant name for the quilt! Love it! Thanks for the link to Lu's patterns too. Love your quilt you finished up! Those fabrics look just delicious, will make an awesome quilt! Hi! I love your Fast Forward quilt and will add it on my list! Really great pattern and I like your colours and fabrics! I love your new patterns! She has some really fun stuff. Love your Fast Forward quilt, especially the name! Great job. 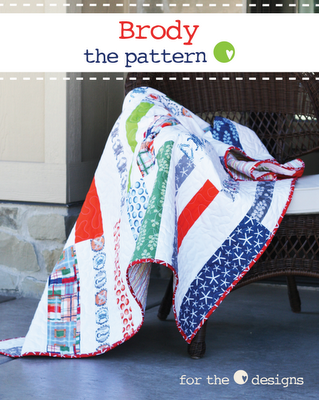 Love the Fast Forward quilt, great job! Love your finished quilt and that fabric you won....hmmmmmmmmm. I will have to go back to Toni's and check those patterns out...I don't remember seeing them. thank you. Love the fast forward. I love that it is HST's, but looks like flying geese! And the colors are great. Such great patterns; thanx for sharing them! I love your Fast Forward quilt; super fun fabrics.